HOBOKEN – CarePoint Health and Hoboken University Medical Center are partnering with Hudson Pride Center to host the “Every Woman Wellness Event” – a healthy living event for lesbian, bisexual, cis and trans women. 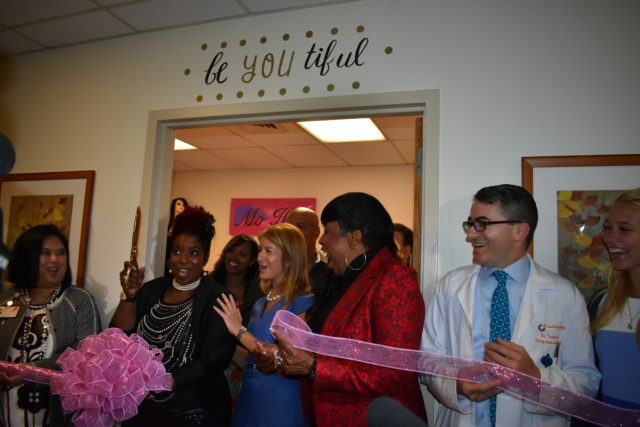 CAPTION: Monique Smith Andrews, founder and CEO of the Mo’Hair Foundation cut the ribbon on her new salon at Christ Hospital in Jersey City Friday. The Mo’Hair Foundation is a non-profit organization that provides free non-surgical hair replacements to individuals suffering hair loss from chemotherapy and other illnesses when they cannot afford it themselves. The new salon will be located in the Infusion Center on the third floor of Christ Hospital. March is National Nutrition Month and CarePoint Health is teaming up with AngelaCARES Inc. and Inserra ShopRite to help educate over 100 local senior citizens about steps they can take to improve their health through better nutrition to lead longer, healthier lives through a free seminar as part of its Lunch & Learn Series at 11:30 a.m. on Friday, March 23 at The Bethune Center at 140 MLK Drive. Angela Cares incCarePoint HealthCarePoint Health Teams Up with AngelaCARES Inc. and Inserra ShopRiteHelping seniorsnutrition habits of seniorsShopRite Inserra Supermarkets. 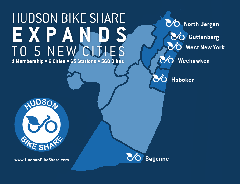 The event, is open to Hudson County Community College students and all Hudson County residents; 40 companies are participating. Hudson County Community College (HCCC) will hold a Spring 2017 Job Fair on Wednesday, April 5 from 11 a.m. to 1 p.m. at the College’s North Hudson Campus – 4800 Kennedy Boulevard in Union City. The HCCC North Hudson Campus is adjacent to the Bergenline Avenue Transit Station. There will be part-time and full-time positions offered. Job hunters are recommended to dress for a business interview and to bring five to 10 copies of their résumés to the event. The companies represented at the event include nearly every sector of business, including health care, banking/financial services, insurance, education, logistics, computer programming, retail sales, STEM, social services, technology, government, pool maintenance, real estate, U.S. armed forces, and more. 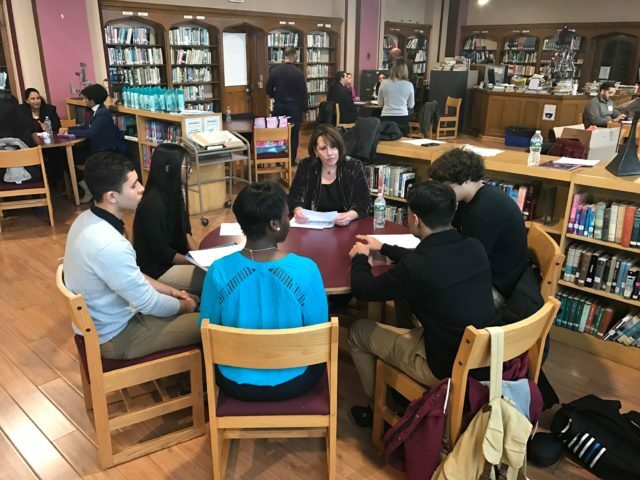 BAYONNE, NJ – About two dozen Bayonne High School students received instruction about applying for internships and jobs, as well as other business skills needed after graduation, at a special human resources workshop held for them. HELPING KIDS BECOME BUSINESS SAVVY: Catherine Shull Fernald (center), Chief Operating Officer at CarePoint Health at Bayonne Medical Center, leads a breakout session at the Bayonne Junior Chamber of Commerce Workshop. The students are members of the Bayonne Junior Chamber of Commerce, a collaborative venture between the Bayonne Chamber of Commerce and the Bayonne School District. The program is supported by CarePoint Health and other chamber members. It promises to be something for everyone when the Bayonne Home Town Fair opens this weekend and brings the community out for some fun rides, delicious food, and activities for the kids.